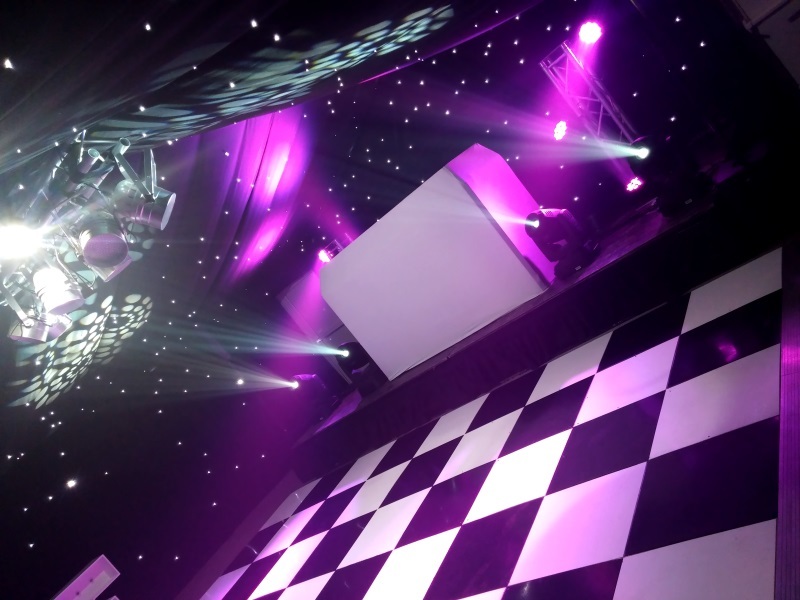 YOUR wedding day is one of the most important days of your life and you only get one shot to get it right, so making the correct decision is crucial when choosing your wedding entertainment. 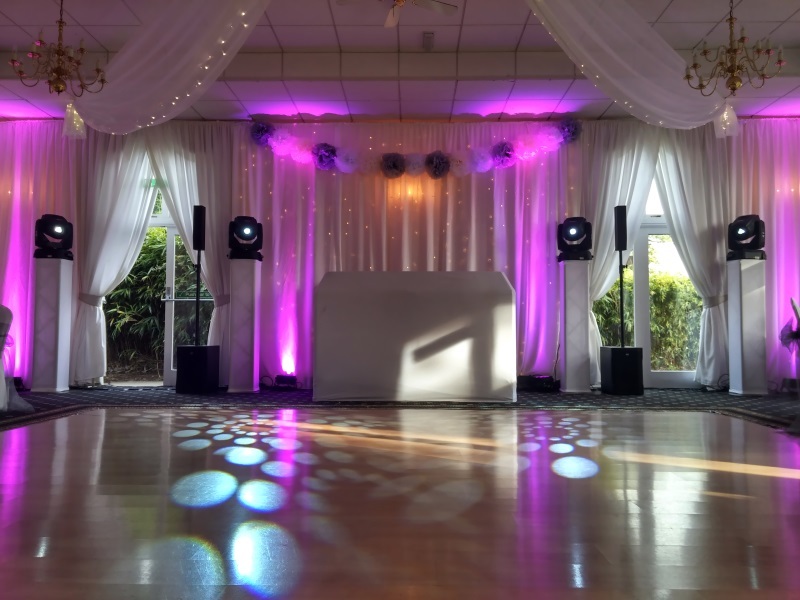 All wedding disco setups come with a computer controlled intelligent light show and quality sound system not too loud for smaller venues and with enough headroom to play medium to large venues without distortion. I only use high quality, professional grade sound and lighting equipment and also carry backup for all major equipment. All equipment used has a valid PAT certificate and I am fully insured with £5 million PLI. Certificates can be sent to your venue in advance if required and will also be available for inspection on the day. 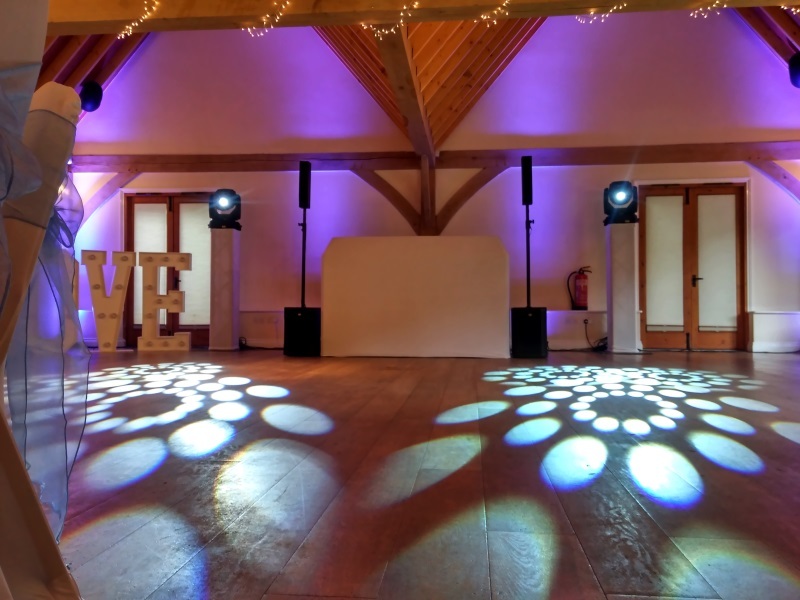 As an optional extra if logistically possible to avoid disruption and for a faster transition into the evening reception I can setup the main disco equipment in the morning. 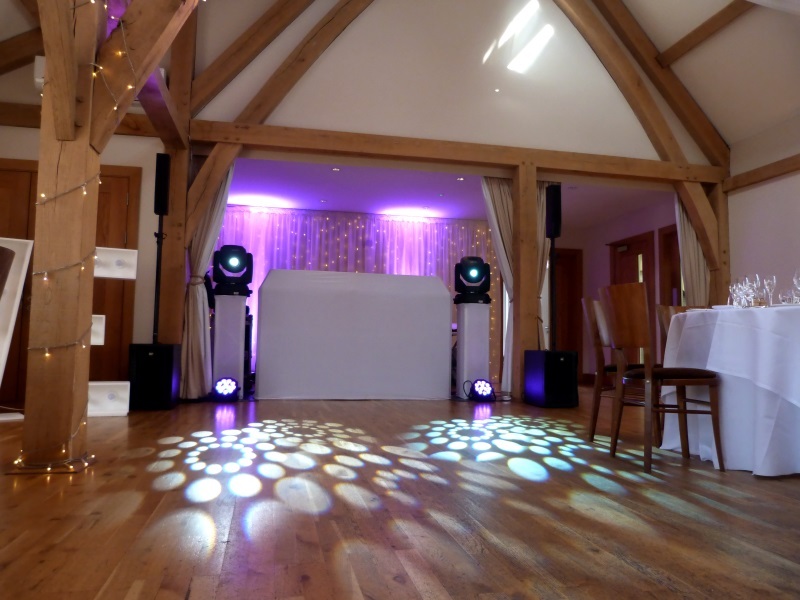 As an optional extra if logistically possible I can provide the musical production for your ceromony including background music whilst guests are seated, bridal entry music, music for signing of the register followed by procession music. As an optional extra if logistically possible I can provide music for the drinks reception either with early setup of the main disco equipment or via a seperate PA system..
As an optional extra I can play background music during the wedding breakfast and/or supply wireless microphones for the speeches either with early setup of the main disco equipment or via a seperate PA system. 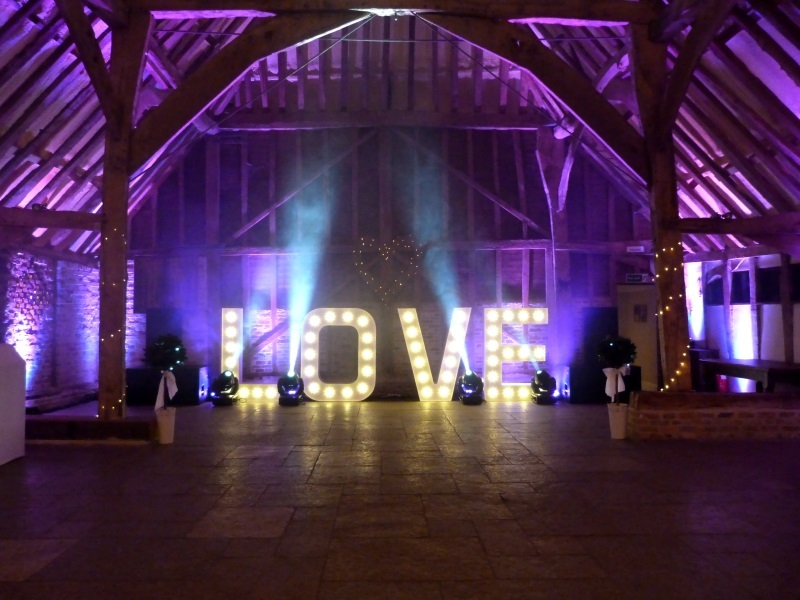 I will work alongside your wedding photographer to organise your guests in a semi circle around the edge of the dancefloor to ensure that you have the very best possible photos to remember your special moment. 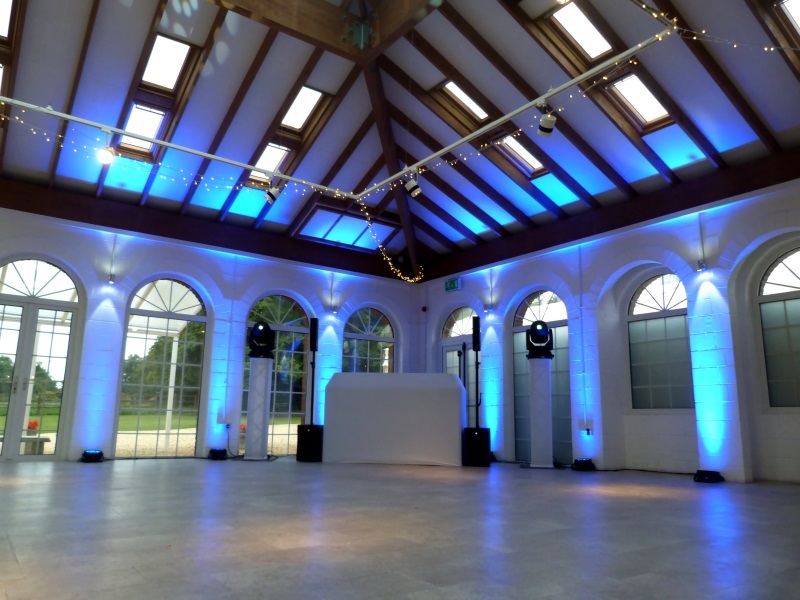 I will then announce your first dance and if you would like your guests to join you for the later part I will invite them onto the dancefloor for you. I have an extensive music library of legally purchased music ranging from the 1960s to the latest charts. 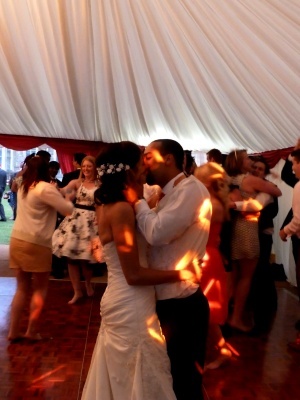 I can play a variety of music to suit the age ranges and tastes of you and your guests incorporating any requests. I also cater for pre-event request lists. General Data Protection Regulation 2018 (GDPR) - By submitting this contact form you consent to being contacted solely regarding your enquiry. At the enquiry stage no contact information will be held anywhere outside of any email correspondance we may have. If your enquiry progresses to a booking then records of your contact information will be held offline in a booking diary solely for the purpose of contacting you regarding your booking. Booking diaries and records of any payments made will need to be kept post booking solely for taxation purposes. At no time will your information be made available to a third party. Note to spammers - Your IP address is 3.80.224.52 If you are sending spam I will take legal action.